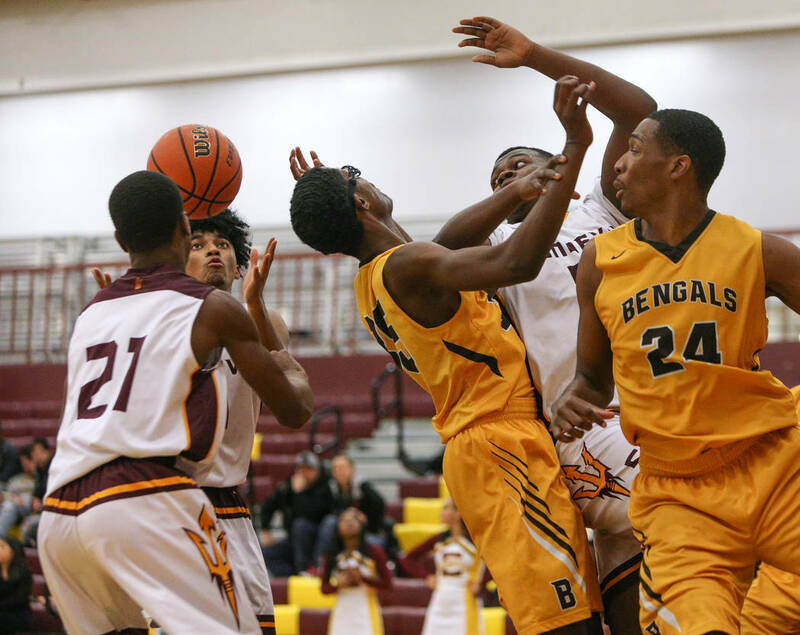 Bonanza’s boys basketball team uses its unusual defensive set to try to make opponents uncomfortable. It worked on Monday night. Eldorado was 8-for-28 (28.6 percent) in the first half as Bonanza (14-13) sprinted to a 36-16 halftime lead. 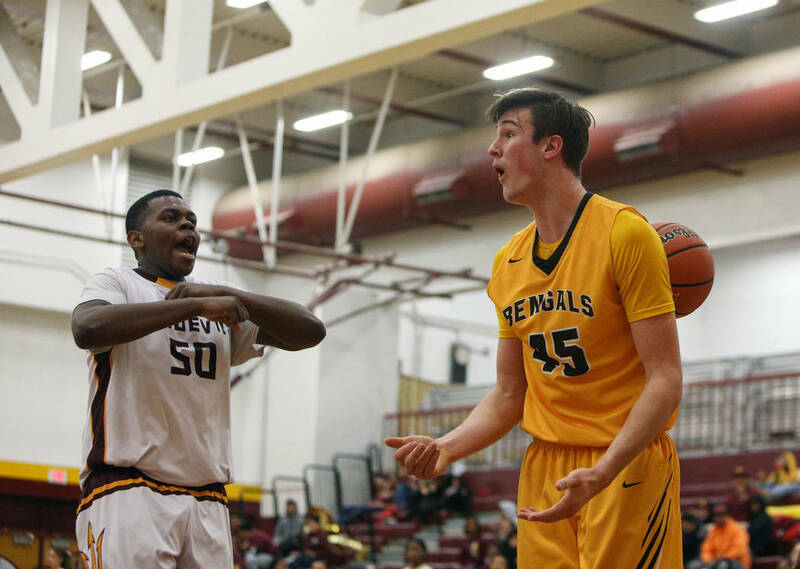 Kadin Warner, a 6-foot-8-inch senior, had 14 points and 11 rebounds to lead the Bengals, who had a significant height advantage with Warner teaming with 6-6 senior Ian White. 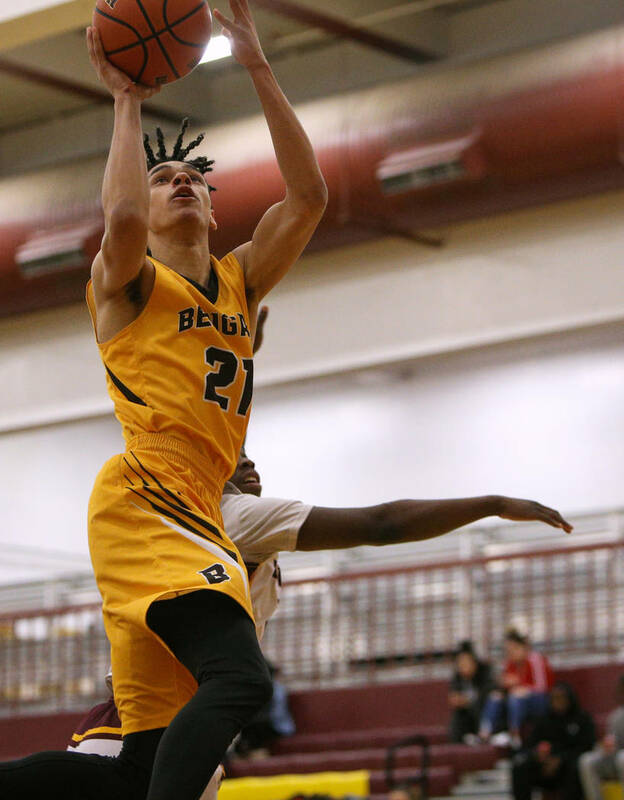 White finished with nine points and 11 rebounds and Joseph Brooks scored 12 for Bonanza, which plays at Shadow Ridge (14-11) at 6:30 p.m. on Wednesday. Eldorado (6-19) got things going to start the second half, forcing eight turnovers in the first five minutes of the third quarter to cut the lead to 40-32. 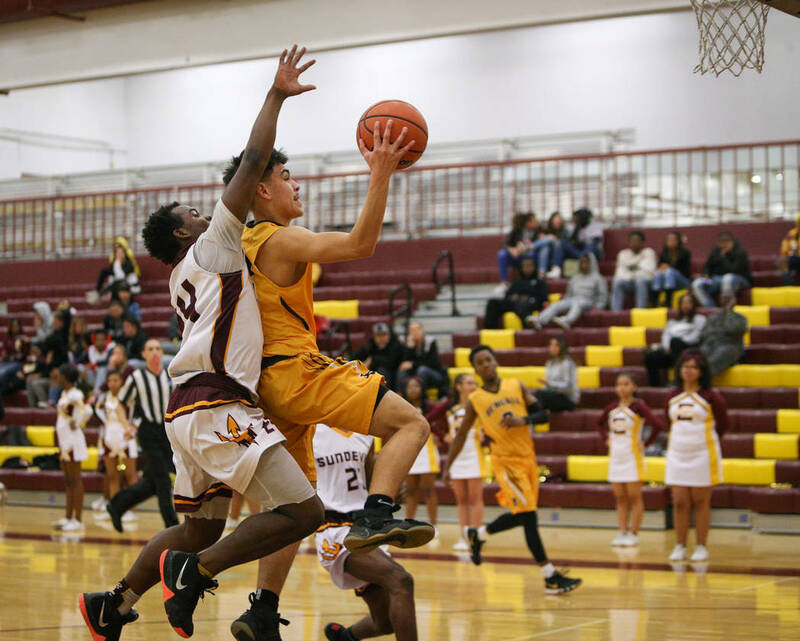 But the Sundevils cooled off again in the fourth quarter and Bonanza pulled away again to win just its second playoff game in the last 11 seasons. 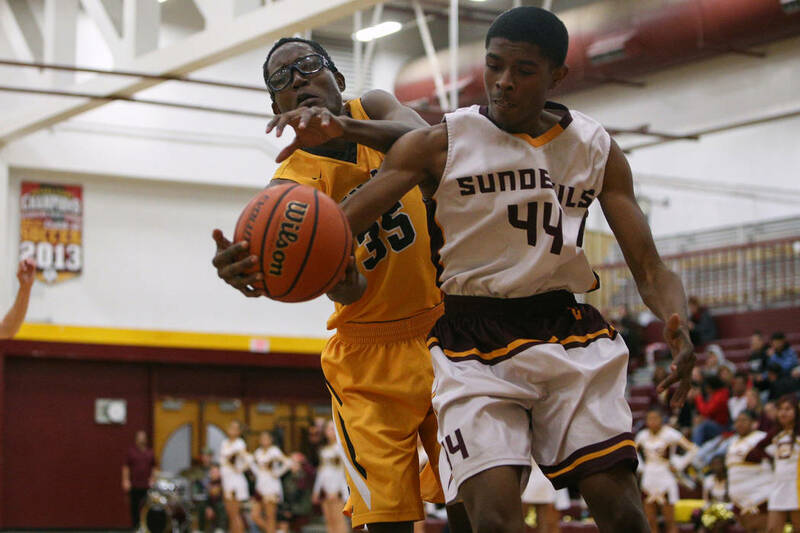 Jonathan Thomas and Jalen Malone each had 15 points for Eldorado. Cimarron-Memorial 71, Rancho 65 — At Cimarron, Brian Lang had 39 points, nine rebounds, eight assists, and four steals as the Spartans edged the Rams in the Mountain Region tournament. Isaiah Armstrong also scored 13 points for Cimarron (11-17), which will visit Las Vegas (9-17) in the second round at 6:30 p.m. Wednesday. James Brown led Rancho (6-21) with 31 points, and teammate Ta’Quawn Dillon-Hodges also scored 15 points. Anthony Gonzalez scored 10 points for Sierra Vista (9-14), which will visit Durango (7-14) in a second round game at 6:30 p.m. Wednesday. Moses Cooper led Tech (5-17) with eight points. Brayden Severt scored 22 points to help host Pahrump Valley outlast Western, 54-50 in overtime. Chance Farnsworth added 16 points for the Trojans, who trailed 32-30 entering the fourth quarter. Gawain Powell led the Warriors with 13 points, and teammates Rogelio Ruiz and James Wade each scored 12 points. Democracy Prep 88, Valley 59 — At Democracy Prep, Najeeb Muhammad had 33 points and 10 rebounds as the Blue Knights rolled past the Vikings. 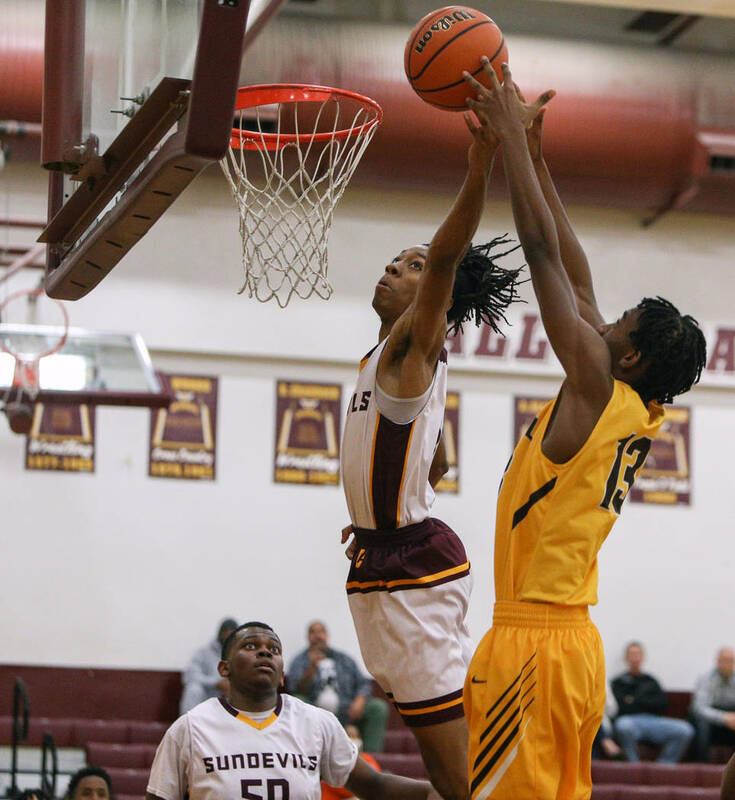 Daniel Plumer added 24 points and 11 rebounds, and Justous Harvey scored 16 for Democracy Prep. Omar Simpson led Valley with 17 points. Bryce Jones scored 13 points, and Andre Jones scored 12 points for the Vikings. 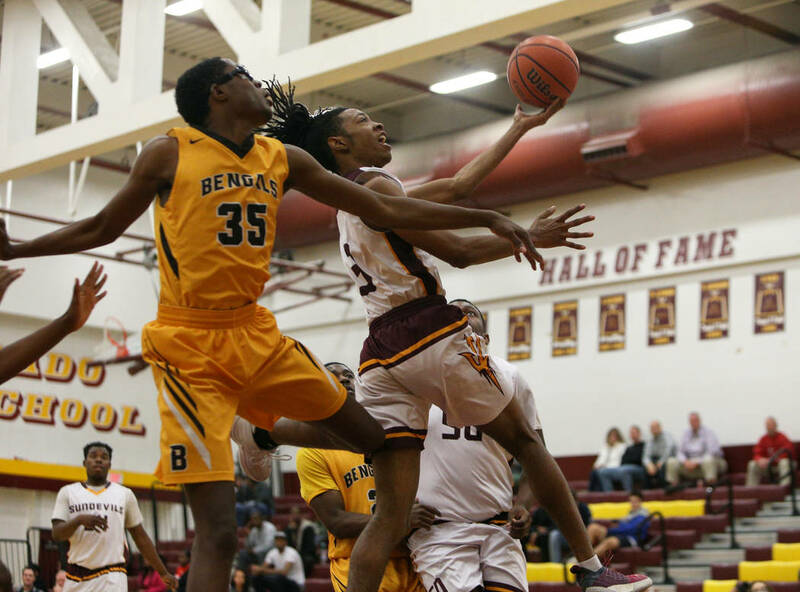 Mojave 75, Somerset-Losee 43 — At Somerset-Losee, Chris Jackson led four double-figure scorers with 18 points as the Rattlers rolled by the Lions. Isaiah Harper added 15 points for Mojave, which led 39-26 at the half and opened the second half on a 20-0 run. Damon McDowell added 11 points, and DeSaun Smith scored 10 for Mojave. Jayden Young and Caevee Cruz each scored 14 points for Somerset-Losee, which got 13 points from Ray’mon Daniels.